Storm in the midwestern United States took down transmission lines that feed into the central Canadian province. Larry Christie, a spokesman for SaskPower, said the 4:30 a.m. outage affected up to 264,000 of the utility's customers. SaskPower, a government-run company, is the province's sole utility. The power came back in some areas relatively quickly and everyone else was back online by 10 a.m., Christie said. Even though Saskatchewan generates its own power, a major disruption in the U.S. can still have effects north of the border, Christie said. "It's just like the Internet for power companies these days. We're all connected. We move power back and forth and that shock traveled all the way up the system," he said. The fragility of North American power grids is something many Canadians are well acquainted with. In 2003 a massive blackout left 50 million people in southern Ontario and parts of the northeastern United States without power. 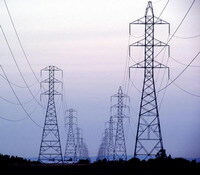 In that event, a failure on transmission lines in Ohio set off a chain reaction that knocked the Canadian province of Ontario off the power grid, along with parts of New York, New Jersey, Connecticut, Michigan, Pennsylvania and Massachusetts.